Fed up of crumbs and clutter? Why not invest in a practical Joseph Joseph Melamine bread bin available at Debenhams (£50). The stylish and functional design would make a perfect addition to your kitchen, it comes in black or white with a space-saving lid that doubles up as a chopping board with crumb catching grooves, making sure you can keep your worktop spotless. Tackle your bedroom and maximise space in your wardrobe with these convenient vacuum bags available from Ryman (£9.99). These bags are a great way to condense and protect your clothes, duvets and other home items, simply grab your hoover and get sorting. 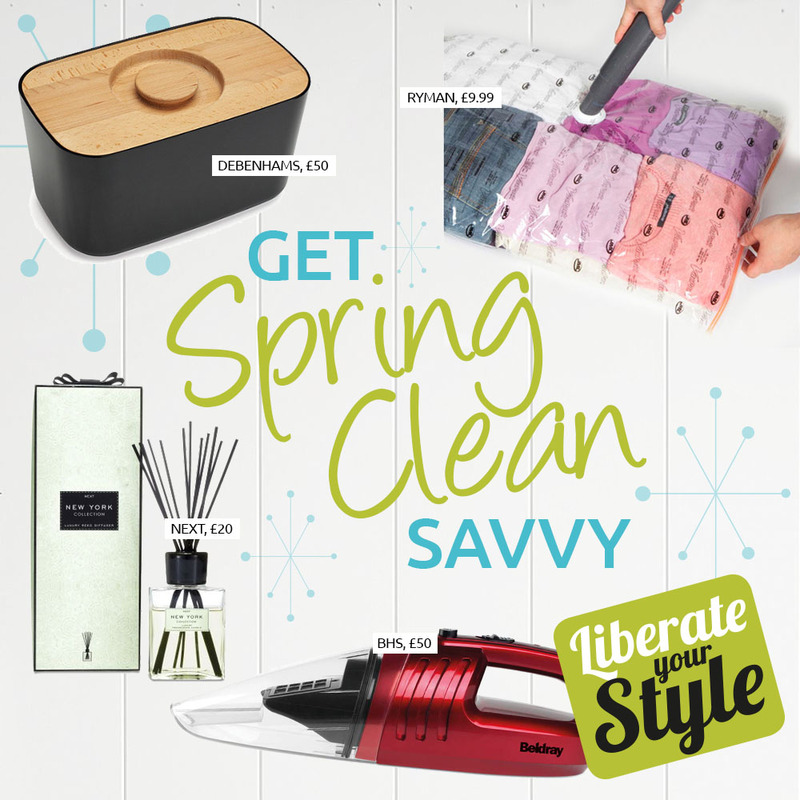 The Liberty top tip: Separate your clothes into vacuum bags labelled ‘winter’ and ‘summer’ to avoid untidiness and to ensure all of your key items can be found with ease. Ensure your house smells floral fresh with this scented diffuser available from Next (£20). This 400ml diffuser is packed with jasmine and sun kissed orange blossom, and lasts up to 14 weeks. The Liberty top tip: Why not reuse your empty diffuser and make your own diffuser oil? We suggest mixing alcohol, water and an essential oil of your choice to create your very own fragrance! Alternatively, you can purchase bottles of diffuser oils that are already blended. Hoover your way to a spotless home with this Beldray 12V rechargeable hand vac – available from BHS (£50). This hand held vacuum cleaner is ideal for hard-to-reach areas such as ceilings and shelves and even picks up wet and dry spills. The Liberty top tip: Save your old toothbrushes! They are an ideal cleaning tool to use when getting in the nooks and crannies of bathroom and kitchen tiles. They can even be paired with baking soda and water to make the ultimate cleaning dream team!